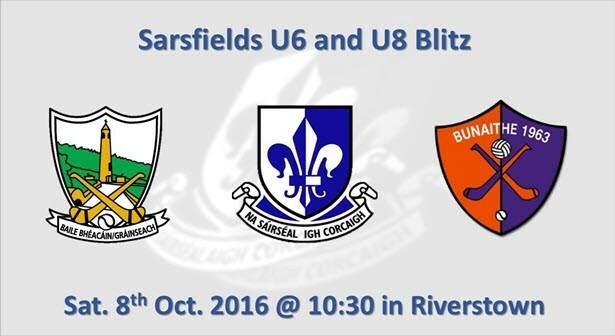 Sarsfields U6 and U8 are running a joint Blitz this Saturday 8th of October 2016 in Riverstown. U6 will host neighbouring club Erin’s Own in the All-Weather facility while the U8 invite once again Erin’s Own and Ballybacon Grange from the Goatenbridge and Ardfinnan areas of South Tipperary. Well over a 130 boys will be on show displaying their pride representing their clubs. Why not drop by and enjoy the morning events and some refreshments in out clubhouse.